Galley kitchens are characterized by two parallel countertops which form a corridor in between. Inspired from the compact galley of ships, the galley kitchen layout aims to maximise your space to give you ample storage and workspace. It’s the most preferred design of professional chefs and home cooks for it helps them move efficiently in the kitchen. In addition, this is the ideal layout if you want to squeeze in a kitchen in a small and narrow spot at home. The great thing about galley kitchens is that you can scale it to fit small to medium-sized spaces. However, you have to keep the distance between the counter and island locked from three to four feet (36-48 inches). Anything wider than that will make the kitchen inefficient for the cook. Galley kitchens have two parallel runs of units. It looks great when the two are relatively symmetrical. 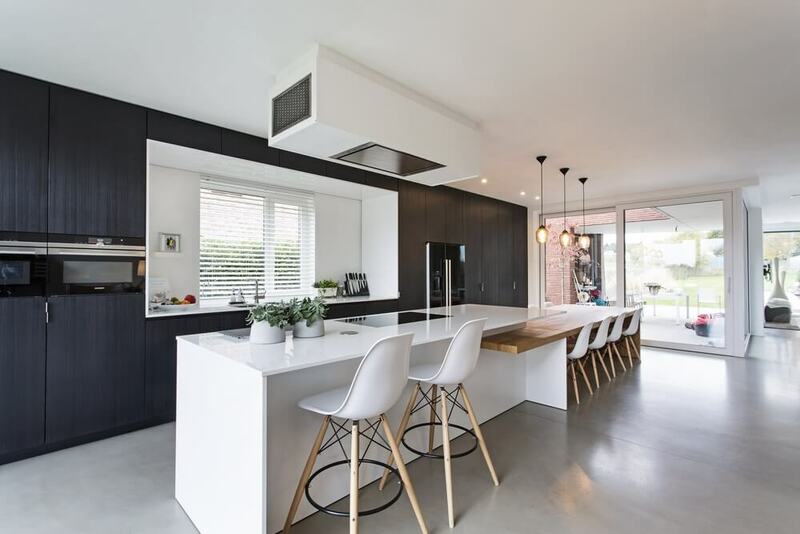 To achieve the uniform and balanced look in your kitchen, the length of the counter and the arrangement of the storage units and appliances must mirror each other, enough to achieve equilibrium. Otherwise, go for an asymmetrical look. In some galley kitchens, the designer positions all of the tall cupboards on one wall. Then, he or she fits principle appliances such as the fridge, dishwasher, and washing machine on the same side. This strategy directs all the heavy work to the other side. The stove and the sink will sit next to each other. For safety, keep at least one foot (12 inches) of space in between the two. You can separate the two further but don’t set them apart for more than three feet. To ensure a smoother foot traffic in the kitchen, some designers keep both ends of their galley kitchens open. This strategy turns your kitchen into a passage to another room or to the garden. We only discourage this layout if the occupants have toddlers or pets that run around the house. You don’t want them to rush through the kitchen and run onto you when you’re holding something sharp or hot. Superdraft tip: To make galley kitchens safer, keep the sink and the hob on the same run. Concentrate the work on one side so you don’t always turn to the opposing run when cooking. Galley kitchens that are closed at one end are safer compared to the previous design we discussed. This way, the cook can better watch out for the adults, kids, or animals that come and go. Most open-plan layouts make use of a one-wall kitchen layout with an island parallel to it. The kitchen island replaces the opposite run and typically holds the hob or the sink. This layout isn’t technically a galley kitchen anymore, but you still enjoy the ergonomics brought by the layout. Adding a breakfast bar in one of the runs of your galley kitchen is a great idea especially when you like several people to dine in the kitchen. In some cases, you can station a small table in between the opposing runs of your galley kitchens. However, this needs careful planning. The table might block your kitchen work triangle, making your way to the stove, sink, and to the refrigerator harder. Consider an open storage such as hanging wall units or shelves. Continuous tall cabinet units on both sides of a galley kitchen make it cramped. Use pieces of furniture and surfaces with a pale colour and a glossy finish as these reflect light better. Eliminate the frills on your kitchen cabinets and drawers. The cleaner they look, the better. Improve your kitchen lighting. Choose a light which brightens and softens the look of the space. A kitchen is a place for everyone. As much as possible, design galley kitchens for at least two cooks. Having more hands in the kitchens will help you fix meals for special meals at home. 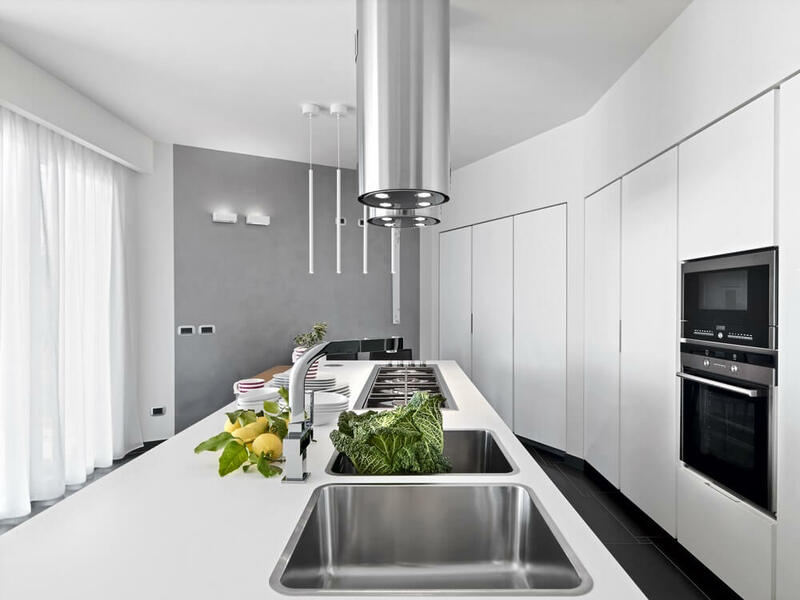 Most importantly, your kitchen design should accommodate the needs of all the occupants. Everyone must be able to stay safely in the kitchen and all things dangerous must be unreachable and out of sight. Galley kitchens are lean and efficient. Do you have a galley kitchen at home? If you do, what do you love it? What would you like to change? 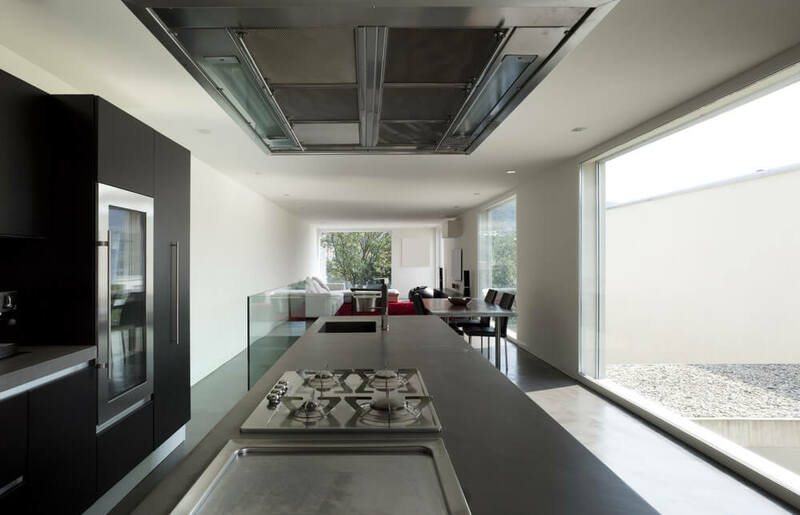 PreviousPrevious post:FAQs About Having a Passive House and Why It’s Right for YouNextNext post:What’s the Right Kitchen Layout for You?